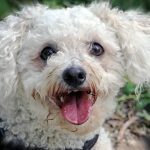 You are here: Home / Breeds / Are Dogs and Wolves Related? Are Dogs and Wolves Related? Dogs descended from wolves or other wild canids and the majority of them still have their temperaments and primitive looks today. 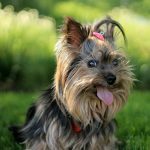 Although it has been hundreds of years since dogs became domesticated, recent studies have revealed the recognized dog breeds that are more closely related to wolves and their ancestors. Recent DNA studies have brought it to light that there are 414 dogs from 85 different breeds that are closely related to wolves. Wolves are amazing animals that have been represented through art, history, and culture for centuries. Over the past years, many people have been adopting this legendary wolf into their home. Dogs are not entirely wolves though, but they have prominent features of wolves passed on from their ascendants. Nevertheless, these breeds are such amazing animals to adopt and have as a friend at home. Wolf dogs are breeds of dogs with the content of a wolf in their genetic makeup. This means that every crossbreed with a wolf and dog is considered a wolf dog. Wolfdogs are usually considered as low, mid, or high wolf content; this depends on the level of wolf transferred to them. These types of dogs, irrespective of the level of wolf-content in them, are a little bit challenging, even for expert dog owners. Wolfdogs have a high level of daily needs. 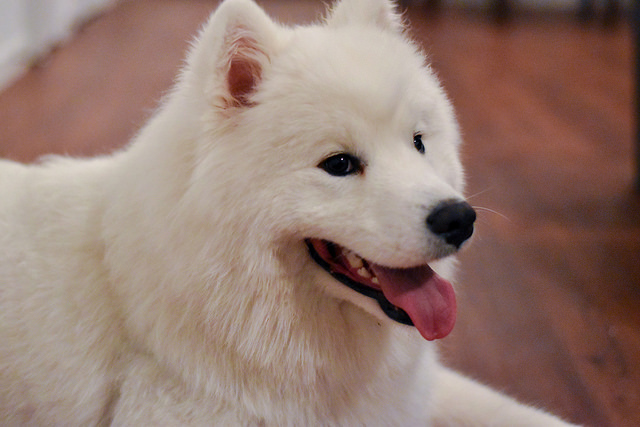 As such, you need to be ready for the extra work for owning this amazing dog breed. Over the past years, some breeders have been creating dog breeds that look like wolves but with the temperament of a domestic dog. Dog breeds such as huskies have zero wolf content, they have similarities with wolves but no relations at all. There are also some breeds with very low wolf content. These set of dogs have at least four generations extracted from their wolf ascendants while being mixed with other breeds. Dogs with very low wolf content are one of the best wolf-like breeds to adopt because they still have a beautiful wolf-like appearance. They are also family friendly and well domesticated. Northern Inuit Dogs are one of the numerous breeds of dogs that are closely related to wolves. 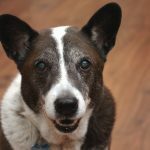 When it comes to temperament, these dogs are intelligent, friendly, loyal to a fault, but they are also stubborn. 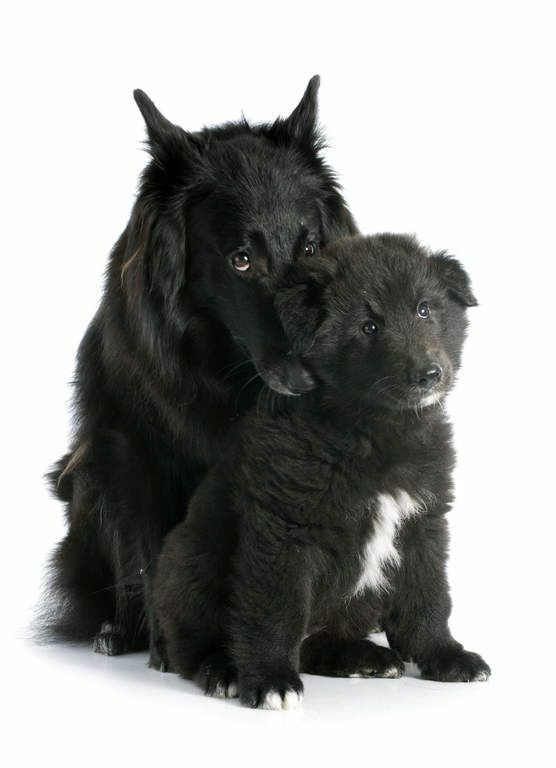 These dog breeds were an attempt to create a wolf-like breed that has a dog’s temperament. According to speculations, this breed originates during the 80s in the United Kingdom. The breed originated by mixing German Shepherds, Siberian husky, and Malamute. This breed became very popular from the Game of Throne series. 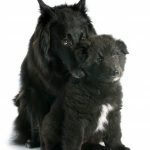 This breed makes a very good family pet, but they are best suited for families with older children or singles. They are known for not having patience for young children. Northern Inuit Dogs are loving and loyal, but they need assertive leadership and training. They are not recommended for new dog owners. They have very high separation anxiety that often results in destructive behavior when left alone. As such, you can’t train them as kennel dogs. Tamaskans are very affectionate, curious, playful, intelligent, and high energy wolf-like dogs. 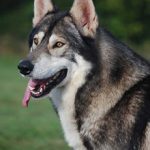 If you are considering getting a wolf-like breed, these are one of the best breeds to consider. This breed was specifically bred to look like wolves. This breed is a mixture of Czechoslovakian wolfdogs, German shepherd, and Husky. Tamaskans were officially recognized as a breed back in 2013. Since then, they are quickly becoming very popular in North America because of their wolf-like appearance and playful nature. If you are willing to take on the extra responsibilities, they are a great family pet. They require a troop of training and a high level of daily stimulation and exercise. Without adequate training, this breed will develop destructive behavior. It is also crucial that you teach them how to socialize early, else they will start becoming aggressive as they grow old. They are also known to resort to destructive behavior when left alone – this is known as separation anxiety. They are also known to have a very high prey dive. This means squirrels, birds, and rabbits will pique their interest. With the adequate training, socialization, and exercise, you will build yourself a wonderful companion. Saarloos Wolfdogs are very shy, cautious, loyal, curious, gentle towards owners, and also stubborn. 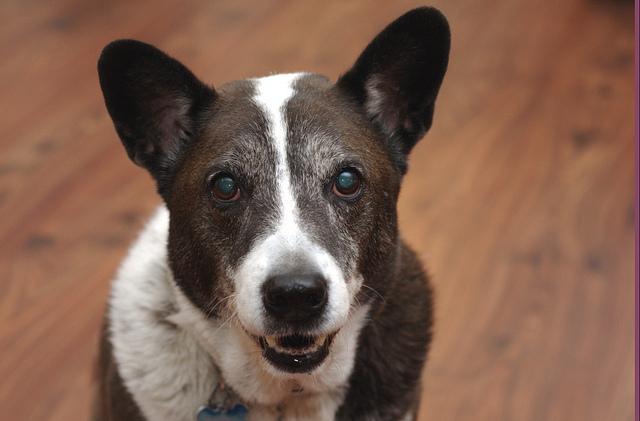 This breed was created back in 1935. 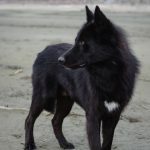 They emerged when Leender Saarloos – a Dutch Breeder – crossbred European Wolves with German Shepherds to create a dog. However, he got too much of a wolf personality instead, and it did not translate well into working dogs. This breed doesn’t exactly make a good family pet. They are not always recommended for young children. However, they are excellent dogs if you are able to meet their needs. They are not aggressive, but they need adequate training to overcome their free-roaming wolf instincts. They are also not very good at socializing with other dogs because they are shy. 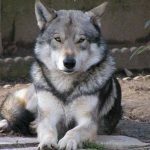 Due to the roaming nature of the Saarloos wolfdogs, they are best suited for living spaces that are large enough, they also require daily activity. These are a new breed of dogs. They are anxious, curious, active, alert, and loyal. The Alaskan nobles are known for their spectacular appearance and very close resemblance to wolves. 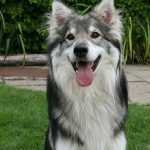 They are a mixture of the German shepherd, Siberian husky, Alaskan malamute, as well as other breeds. There are speculations whether or not this breed contains wolf content. Not much is known about this breed at the moment. However, this breed is known to be very playful and affectionate. Some Alaskan nobles owners have also reported apprehension and aggressiveness towards children and strangers. Besides that, they are very active and they like roaming and exploring open space. To keep their intelligent minds occupied, daily stimulation is necessary. For them not to become aggressive as they grow old, early socialization is required. They also have extreme separation anxiety. This is a newer breed of dog that looks like wolves. They are social, loyal, intelligent, friendly, and high energy dogs. Utonagan were introduced back in the 80s in the United Kingdom. They are a crossbreed of Siberian Husky, Malamute, and German Shepherd. Utonagan means “spirit of the wolf,” and their name was gotten from a tale passed on by. They are a very good family pet, but more effort is required by the owner. Their temperament is similar to that of Tamaskan. They are also very affectionate and playful with their owners. Nevertheless, they require daily exercise and training. They are easy to train because they are very receptive to their owners and they have lots of personalities. 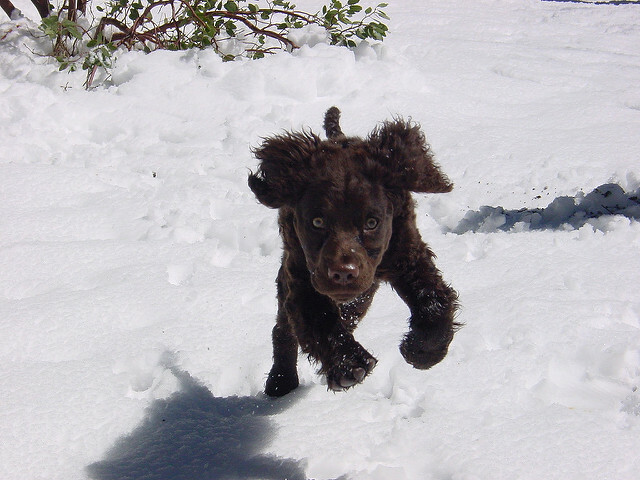 They are very energetic, hence they require mental stimulation and frequent exercise. Utonagans are best suited for large acreages and living spaces. They are known to have an extreme prey drive, hence rabbits, birds, and squirrels will definitely grab their attention. They also have high separation anxiety. Hence, when left alone, they’ll resort to destructive behavior. 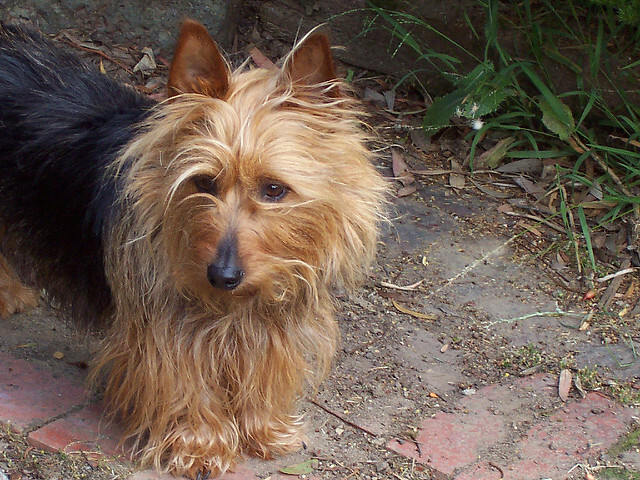 Before adopting this breed, it is recommended that you carry out proper health research. This is because they have been known to have health issues. New genetic research apparently contradicts the long-held notion that dogs are descendants of gray wolves. 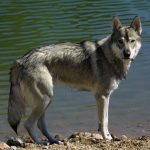 Research in the present issue of PLoS Genetics shows that, rather, gray wolves and dogs share a common ancestor in extinct wolf lineage that existed centuries ago. A group of international researchers generated genome sequences from three gray wolves – one from Israel, Croatia, and China. These are the three nations dogs were believed to have originated from. They later sequenced the genome of a dingo from Australia and basenji dog from central Africa. According to a press release, both Australia and central Africa have been historically isolated from wolf populations. The analysis of the genomes form the dogs and the wolves reveal that dogs were more closely related to one another than they were to wolves. The results also showed that the wolves are even more related to themselves than to dogs. In addition, the researchers didn’t see any evidence that links dogs to any of the sampled living wolves. Another possibility is that there might other lineages of wolves that these dogs descended from that have gone extinct, according to John Novembre. John Novembre is a senior author on the field and an associate professor in the Department of Human Genetics at the University of Chicago. This reincarnated the popular belief on the domestication of dogs which are considered to be these few friendly, docile wolves, which later evolved into dogs after the early farmers adopted them. There exist some level of genetic overlap between some dogs and wolves. But this is as a result of crossbreeding after dogs were domesticated, not a direct descendant from a lineage of wolves. 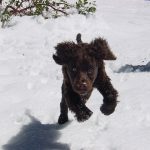 According to Dr. Freedman, this research will enable them to study the genes involved in increasing the dog-like nature of dogs, and also understand the historical evolution in canines. This means that wolf-like dogs are not reportedly direct descendants of wolves. However, they were as a result of crossbreeding. Scientists have crossbred the genomes of dogs and that of wolves to get dogs with wolf-like appearances.